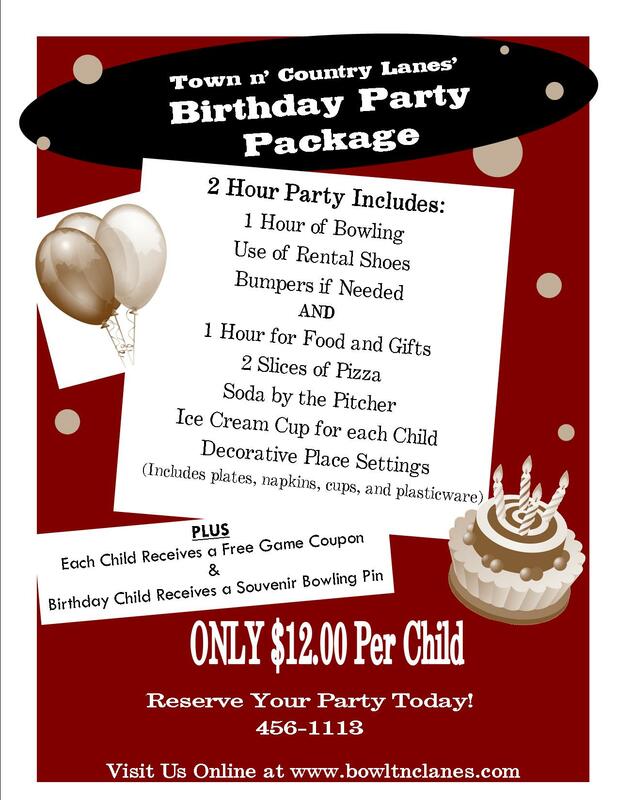 Celebrate your next birthday at Town 'n Country Lanes. You bring the cake and we'll do everything else! Our party package is available for all ages. We also use the same package for our business parties! Birthday Child Receives a Souvenir Bowling Pin! Have something different in mind? Let us know and we'll do our best to help design/customize your party.